Peggy Gilmour of Kamloops, BC, passed away peacefully in her home on the south Thompson River in her 86th year on Sunday, June 29, 2014, with her family by her side. Peggy was born in Kamloops on January 6, 1928, to Arthur and Isabella Parke of Cache Creek, BC, and was raised on the Bonaparte Ranch outside of Cache Creek. She was home schooled for grades one through three, and then attended school in Ashcroft before heading to York House School in Vancouver for grades 10 through 12. Peggy developed her life-long love and appreciation for the arts during mandatory outings to musical events, such as the Vancouver Symphony Orchestra, during her years at York House School – Peggy graduated as head girl in 1945. Peggy then went on to attend UBC, where she studied English and graduated in 1949 with a BA (Hons) degree. During her time at UBC, she pledged the Gamma Phi Beta sorority, acting as treasurer in her final year. After graduation Peggy took business courses before starting work in the early 1950s in the office of university president, Dr. Norman MacKenzie. During those years, Dr. MacKenzie presided over significant expansion at UBC as veterans returned home for free education offered by the government. After working at UBC, Peggy packed up and travelled to England with friends, staying on after they returned home to work as a dictation typist in the foreign services news division at the BBC. Although the pay was minimal, Peggy was able to enjoy the theatre four nights a week since tickets were, in her words, “so cheap.” She was in London at Canada House as the procession of the coronation of Queen Elizabeth II passed through Trafalgar Square and she was subsequently invited to tea at Buckingham Palace. While working at Canada House, Peggy met Ruth Massey (née Killam) who had a brand new MGB convertible and was looking for a partner with whom to embark on a European road trip. Peggy jumped at the chance to go, so between 1952 and 1954 they travelled through Europe exploring countries such as France, Spain, Germany, Scotland, Italy, Switzerland and Morocco. Through their chance meeting they remained life-long friends. Peggy subsequently returned to Kamloops, where she worked for the law firm of Fulton, Morley, Verchere & Rogers as secretary to MP Davie Fulton. Her primary function, as she described it, was “holding down the fort” while Davie was in Ottawa. Upon returning home from Europe, Peggy also became reacquainted with Allan Gilmour, whom she had previously met at UBC. Allan and Peggy married in November 1956 and went on to live at Williams Lake, Victoria and Kamloops before settling in Merritt to raise their two boys and three girls. Winter weekends were spent skiing at Silver Star with the Guy Rose family from Quilchena, BC, and summers were spent at Nicola Lake. Peggy immersed herself in the Merritt community and derived immense satisfaction in bringing arts and cultural productions to the Merritt schools. 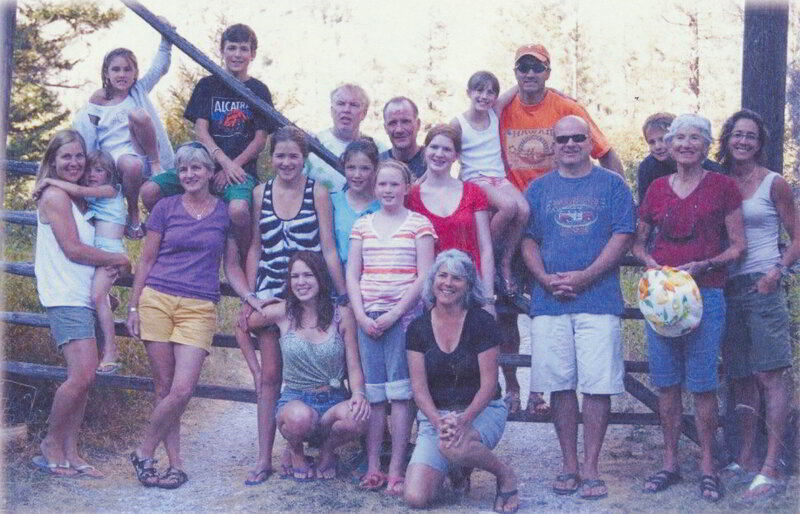 Many life-long friendships were forged through Allan and Peggy’s links to the forestry, mining, and ranching communities throughout the Nicola valley. In 1982, prior to Allan’s retirement from Tolko Industries, Allan and Peggy returned to Kamloops and settled on the South Thompson River in Valley View. Peggy rekindled her connections and again immersed herself in her community. She was recruited to the board of Western Canada Theatre Company, presiding as its president for many years and was elected as an honorary Life Member in 1992. She found her work with the theatre company immensely rewarding. Peggy was the co-chair of the fundraising campaign for the new Kamloops Art Gallery and in 1991 was the chairperson for the YWCA Women’s and Children’s Shelter Campaign. She was a significant supporter of the Chris Rose Therapy Centre for Autism and the Kamloops Chapter of the “Can Go Grannies” for the Stephen Lewis Foundation. Peggy volunteered at the Canada Summer Games, managed the volunteers for the 1986 Special Olympics, and campaigned annually for the Kidney Foundation, the Heart & Stroke Foundation and the Canadian Cancer Society. In 1988 Peggy was awarded Volunteer of the Year in appreciation for her community service to the arts. In 1993, she was awarded the Kamloops Centennial Medal in recognition of her significant contribution to her community. In 2002, she was awarded the Queen’s Golden Jubilee Medal for her significant contribution to her community. Peggy had strongly held political beliefs, ones that were likely inherited from her father, Arthur. She was also active in many political campaigns at all levels of government. Many family occasions were interrupted by spirited debate and her equally strong-minded brother, Gordon. Peggy loved to ski. She skied upwards of 40 days a season until her 84th year. Some of her happiest days were spent up at Sun Peaks surrounded by her growing family to whom she passed along both her love of skiing and après skiing. After moving back to Kamloops, summers were spent at the cabin at Pavilion Lake on property that has been in Peggy`s family since 1914. She delighted in being there surrounded by her grandchildren. Peggy and Allan loved to travel. Their trips were carefully documented with a steady stream of post cards sent to family and friends. After Allan passed away, Peggy continued to travel on her own and in May 2014 had a fabulous trip to South Africa. Peggy had already made plans for her next trip to the Galapagos Islands in November 2014. Peggy is survived by her five children, Bruce (Wendy) of Vancouver; Ross (Andrea) of North Vancouver; Alison Sawers (Norman) of North Vancouver; Daphne Marvel (James) of New Westminster; and Elspeth Cooper (Darren) of North Vancouver. “Gran” will be dearly missed by her 11 grandchildren: Sarah, Stephanie, Charlotte, Georgia, Bronwen, Malcolm, Audrey, Paige, Gillian, Andrea and Stuart. She is also survived by her brother, Gordon Parke of Vancouver, and many nieces and nephews. 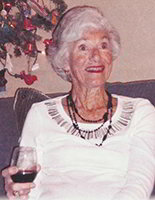 Peggy was predeceased by her husband, Allan, in 2008, and by her brother, Alan, in 2003. Peggy’s family would like to give a heartfelt thank you to Dr. J. Francois Malan for not only his medical expertise, but more importantly, for his compassion and inspiration as he encouraged “m’lady” to take her last epic trip to South Africa. We would also like to thank the empathetic staff of Royal Inland Hospital 3 West and the Home Health Palliative Care Team. In memory of Peggy Gilmour, donations may be made to one of the following charities: Western Canada Theatre Company, Chris Rose Therapy Centre for Autism, The Canadian National Institute for the Blind.